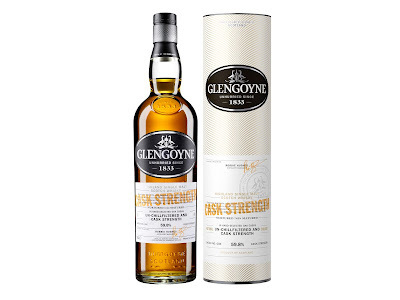 Ian Macleod Distillers, has today announced the launch of a new Cask Strength expression, from its Glengoyne Highland single malt Scotch whisky brand. Glengoyne Cask Strength Batch No. 6 (59.8% ABV) has been matured in a combination of first fill European oak sherry casks, American oak sherry butts and refill sherry butts. This latest Glengoyne release, is said to deliver notes of ripe banana, warm baked custard, peppered strawberries, digestive biscuits, soft oak and sherbet on the palate. Followed by notes of rosehip syrup, demerara sugar and gooseberries on the palate. Glengoyne Cask Strength Batch No. 6, will be available later this month from specialist retailers, for a RRP of £54.99.